I recently saw a comment on an older post that asked — “How do you control the distance on greenside bunker shots?” I thought this was a very good question and one I’ve been asked a lot over the years. So I thought I would address that question and hopefully reduce some of your sand trap anxiety. First, let me say that really good bunker play requires more than just the knowledge I’m about to offer. It requires thoughtful practice and some experience reading different lies and situations. That said, to hit the ball different distances requires nothing more than knowing the technique I’ll write about in the following paragraphs. So, although you may not turn into Gary Player over night — you will, after reading this post, have a basic philosophy on controlling the distance of your bunker shots. Okay, to start, there are two basic fundamentals that you must understand to control the length of your bunker shots. Without these two fundamentals, the rest is worthless. Just as is reading all the golf magazine articles that tell you how easy bunker shots are supposed to be. The two fundamentals you must understand and control are — entry point and depth of divot. These two things are vital to good bunker play and needed if you’re going to hit short and long shots on command. Lets start with entry point, which simply means the point where your club enters the sand behind the ball. This is important because — if one time you enter 4 inches behind the ball and the next time you enter 1 inch behind the ball — your ball is going to travel different distances. Assuming the force of your swing is the same that is. What is the proper entry point? Well, to me, it’s 2 inches behind the ball on normal bunker shots. And…when I am instructing someone in the bunker, I really don’t let them move on from this step until they can do it consistently. It doesn’t make sense to try an comprehend point C if you still can’t get past point A. And in bunker play, delivering the club to a consistent point behind the ball is definitely point A. It really is quite simple to practice and you can do so without a ball, which is probably preferable. This way you won’t focus too much on the ball and swing to it, as opposed to the point in the sand. Here’s the drill: Draw a long line across the bunker and then straddle that line with your stance. The line should fall two inches behind the left heel in your stance. Do not use a ball at first. Once set up, I want you to take practice strokes swinging through the sand. But each time, do your best to enter the sand right on that line two inches behind your left heel. Remember, make sure to swing through the sand. We don’t want to groove a stroke that hits at the sand…so pay attention to that. Take a number of practice swings making your way down that line in the sand. But make sure the line stays in the same spot in your stance. Don’t let it get too far back or too far forward. For now, don’t worry about aim so much. Just worry about swinging through that line two inches behind your left heel. You’ll see where your club enters, so make any needed adjustments. Once you get to the point where you can enter the sand at the same spot every time, put a ball down directly off your left heel. Then, continue to do the drill, except this time with a ball down. Remember, still enter two inches behind your left heel (or from where your ball is placed) right on that line. You’ll quickly get the feeling of the sand taking your ball onto the green. That is an easy way to understand the first fundamental of entry point and should take you about 10-15 minutes. For the second fundamental, I want to you look at the big flange on the bottom of your sand wedge. This is designed specifically for bunkers. That flange translates into bounce as you swing the club into the sand. What is bounce? Bounce is exactly what it sounds like, your club bouncing off the ground into the ball. If you have ever sculled a sand wedge from a tight lie in the fairway because your club skimmed off the ground, you know what bounce is. The manufacturer put that big flange on the club so it would bounce off the ground. The great thing about bunkers is that they are made of soft sand so, as the club strikes the sand it digs slightly and then bounces. This guarantees that you take the right amount of sand every time. Still confused? It’s okay, I am going to show you how to use the bounce to your advantage. Raise the bottom of your sand wedge up to your face, right at eye level. Set it so the face of the club is looking at you. Now push the grip end of the club away from you while keeping the face in the same position. You are opening the clubface by in essence moving the shaft backwards. Notice what is happening to the bottom of the club and its flange. It’s getting bigger and you are seeing more of it. Next, bring the handle closer to you and watch what happens. The more you close the clubface, the more the flange disappears. You are decreasing the bounce by closing the face. From this experiment, you learn that a square clubface produces normal bounce, an open clubface produces more bounce, and a closed clubface produces less bounce. Now the trick is to know when to use each degree of bounce. Just think about what you are trying to accomplish in a normal sand shot. Your goal is to splash the ball out softly riding on a thin blanket of sand. The amount of sand you take will determine the distance your ball travels â€“ not necessarily the amount of sand you take behind the ball, but the amount you take under the ball. This has to be consistent to hit good bunker shots. If you skim the top of the sand on one shot and then dig five inches deep on the next one, you will never know how hard to swing. Knowing how to use the bounce of your wedge is the key to controlling the depth of your divots. The more bounce you use, the more shallow the divot. The less bounce you use, the deeper the divot. And because your goal is to splash the ball out on a thin layer of sand, you want a shallow divot, and will use an open face on your wedge to hit this shot. In fact, you should use an open face anytime you have a good lie in the bunker. One note however: Make sure to open the face of your sand wedge and then grip it. Don’t grip it then open it, as it will likely return to square at the bottom of your swing. Okay — I know that was a lot of technical information…but some golfers really need that. But to make it simple in review — before your do anything else in a bunker — you want to control your entry point and the depth of your divot. This way the amount of sand taken will always be consistent and then you can control distance by effort of swing. This is the simplest way to get the ball close when having a long way to travel across a big green. So, now on to controlling your distances. And believe it or not, this gets very easy if you do the first two things correctly. All that is required to control your distances in greenside bunkers is to modify your follow through. For a short shot — follow through short. For a medium bunker shot — follow through to a medium level. And for a long shot — follow through all the way. There is no need to adjust your backswing, as this will happen naturally and should, for all intensive purposes, stay consistent with all shots anyway. By controlling your finish, you will control the amount of acceleration through the ball, which will control how far the ball carries. It really is that simple. Don’t make it any more complicated then that. Yes, for specialty bunker shots, there is more required. But for a garden variety bunker shot, from a good lie, this is it. Control your entry point by practicing swinging the club into the sand on an exact point. Control the depth of your divot by controlling the angle of your face. An open face will create more bounce, which will create a more desired shallow divot. **Make sure to open the face, then grip it. Control the length of your shot by controlling the length of your follow through. Have three finishes in your bag for short, medium and long shots. To get really close, you’ll have to practice — but to get reasonably close, you’ll just need to understand this concept. A couple things about equipment and set-up. First, 90% of your greenside bunker shots should be hit with a sand-wedge that has between 56-60 degrees of loft and 8-12 degrees of bounce. To me, the perfect club for most situations is a 58 degree wedge with about 10 degrees of bounce. Most of the wedges today will say how much bounce they have on the bottom of the club. If you don’t see it there — ask your pro and they should be able to help you out. Second, you should hit 90% of all your greenside bunker shots with open feet and shoulders. That way, your open club will be aiming properly at the target. From there, just swing aggressively down your body line, and the ball will bleed a little to the right (for a right-handed golfer) directly at your target. You can learn more about improving your bunker play in our free illustrated 60 page PDF Report, 14 mins video and 19 mins audio. To receive a copy and play better bunker shots simply fill in your name and email here. I have a terrible time hitting out of bunkers -can you help ? Andy I like this info on the bunker, but my need is a the tee box, i have a hard time with my move from back swing, to down swing. is there a slow motion drill I can use, to get my hips to start, without moving my arms first? thanks I appreciate all your tips. This is an excellent description of the use of the sand wedge in bunkers. It explains all aspects of bunker play in a way that is technical but easy to understand. For instance I had not realised that the more bounce you present to the ball, the shallower the divot in the sand.I have learned a lot from this article and will certainly be spending more time in the practice bunker at my course in the near future trying different bounce angles by varying how much to open the club and also working on the differing lengths of follow through. Thank you for passing this information on to me. David, here is a tip my instructor gave me for packed or hard surface sand. You should use your sand or pitch depending on the lip height of the bunker, do not open the face. instead strike 2 inches behind the ball like a normal shot. We did this for about 15 mins and it works great. The reason is the bounce will dig deep into the hard packed sand and slow your impact speed to the ball. This is the same method to use for a barried lie or fried egg in the bunker. Because the bunkers at ou course are traditionally damp and packed our club pro advocates using a lob wedge instead of a sand wedge. I’m 14 handicapp. Still struggling on the bunker shot using 60 deg bounce 8. Club tendency to dig and sometime topped. Still struggling on the shot. Try to open the clubface but still having the same problem. Thanks a lot! I do my bunker out pretty well-controlled but you have provided some valuable info. Allow me to add at a tip as at one time despite all the techi info, I used to struggle with my address in the bunker. I could not fix my right hip correctly bcoz my right toe to ball distance varied as I never concentrated on it. Despite my best effort when I was under pressure I swayed a little thus messing up the wedge’s entry point into sand. Now to keep my final swing thought simple (i.e. after I’ve decided on the club face angle & bounce I fix my hip and right toe 4-5 in. from the ball and must pick the club up before the clubface crosses my right toe. If I am close to a cliffy bunker face I can even reduce it to 2-3in. with excellent results. Imp point is to pick the clubface before the right toe. When the bunker is hard from rain, you want to feel more of a thump as your club enters the sand. Get aggressive with it and feel like your club is staying in the sand. By that I mean — more of a punch shot feel. So a very short follow though — but with speed. Also, the ball will come out a little quicker because the sand is wet but should spin a little more. John, your stance should be about shoulder width apart, as it’s okay to go a little wider in the bunker than other short game shots. Also, have a little more knee flex when you set up to the ball. Reading all you the good info there’s something that’s not clear. How does a pro hit 146 yards with 6 iron. I am 64 years old and hit the same shot with 8 icon am I doing something wrong. Iam using your good advice on how to use you body to get distance and it working so good that I surprise myself. Very good article. What does one do in a bunker that has got hard after rain and one can’t take an easy divot? That was really nice, but l already been doing the two fundamentals that you have recommended, but l am very inconsistent in the distance where you enter the club behind the ball. Your recommendation about the practice drill without a ball is what l think l need to do. Thank you very much. Good clear instruction, anybody who follows this method will not only improve their bunker play but their whole game as consistency and purpose will become part of it. If your left heel is two inches in front of the line,how far behind the line, is your right foot. You say “straddle the line”, is the right foot two inches behind the line,or are the toes of your right foot touching the line? It is usefull and make me confidence. I like to see everyone start from a balanced position — so weight 50/50. But then bump your hips a little forward so that your weight gets slightly left. Don’t just put more weight on your left foot or you’ll risk getting too steep into the ball and taking too much sand. So — balanced set up first then bump your hips slightly forward. Good luck — and good question. Great stuff. Excellent information. I have been a PGA professional since 1968. I spent 3 years with Bob Toski and golf digest school while at Palmetto Dunes,Hilton Head Island,S.C. This helps us to teach the beginners. Sounds good and I’ll try it out as bunkers have been my nemesis lately. Thanks — that was a good & helpful refresher. More of a question than a comment. How should your weight be distributed? Evenly balanced on both feet or more weight on the front foot? Thank You. This is the best bunker instruction I have ever seen. Maybe I can get a handle sand play. This article is excellent. Clear and concise……and correct. It works every time if you hit the sand in the suggested manner. That was a very good precise bunker lesson, I am one player who is weak in the bunker, I never have a good bunker shoot and every time my ball lands in the bunker I will have phobia. I will now practise by using your tips and will forward the result to you later. 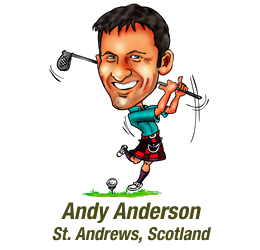 Most timely and appropriate, Andy, as I am getting tired of how to get out of the sand trap decently lately. Will give it a shot. Thanks.